I’ve had both and have to agree-the other cake has a better flavor! But yours looks beautiful! I love lemon in anything. Which version of this cake would you say is more lemony? 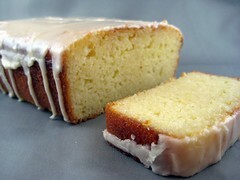 @Seanna Lea – @Seanna Lea – I think the regular Lemon Cake is more lemony. They’re both good though.